Long before the running boom, the Mizuno Run Club was created to help runners prepare for the first Mizuno Infinity Run. Many of the running community’s leaders were part of that first group of runners interested in serious performance. 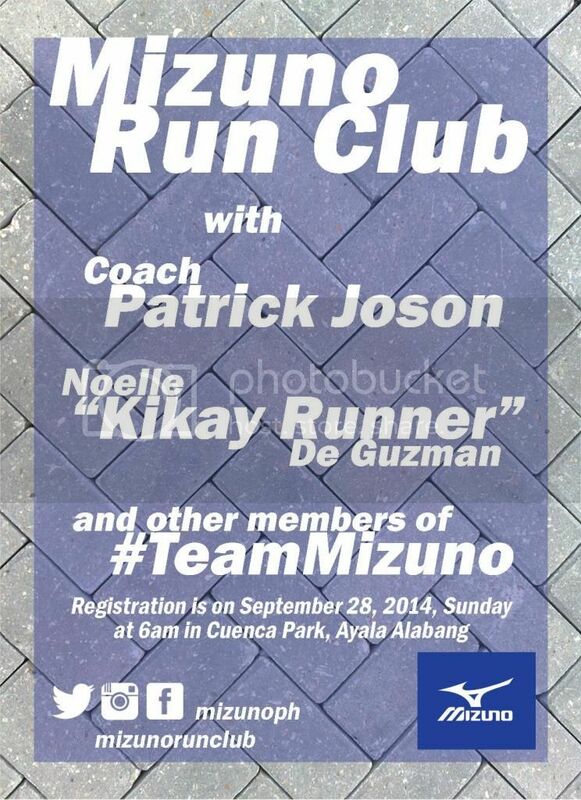 Yesterday at Cuenca Park in Ayala Alabang, we began the revival of the Mizuno Run Club. We were 18 runners, including Coach Patrick Joson, who spearheaded the revival of the Run Club. I was there in support along with other #TeamMizuno athletes like Tobias Bernardo of Team Timex-Gold’s Gym-TMM and Allan Enriquez of Running Free Manila. It was a good mix of beginner and intermediate runners. We gave out Infinity Run singlets (not for sale in stores!) so everyone looked flashy in their Mizuno gear! We started off with a little powwow of introductions that allowed us to get to know each other even just a little bit before heading out on a 10-kilometer run around Ayala Alabang Village. We originally were going to set up pace groups, with myself leading the faster ones, Allan bringing up the middle, and Ias sweeping the back. In the end it was a nice group run with the faster ones waiting for the others at the water stations stocked with Lightwater and Gatorade. We all finished together back at Cuenca Park. Then Coach Patrick did what he called the “Run Revelation” in which he showed how long stride length really is due to air time. Notice the puddles of water around our feet. He had us step on water, then run at our long run pace and our race pace. Our wet footprints showed us how long our strides actually were, even if visually it looked like we weren’t reaching forward with our legs. Speed in running is due to stride length multiplied by stride cadence. Stride length is dependent on genetics and technique, while stride cadence is dependent on training. You can increase stride length by stepping your leg forward (but this causes a braking action and decreased cadence), or you can increase effective stride length as well as cadence by “maximizing your fall” forward and landing your feet under your body. You pose by picking your foot up under your hips, fall forward, then pull your other foot up to trigger the landing of your foot under your body. After the session, we gave out Mizuno backpacks to 10 lucky winners. That’s a lot of swag! I’m happy that Mizuno has revived its presence in the running community. Coach Patrick wants to make group runs a monthly thing. I definitely miss the good old days where we would do a weekly group run around Bonifacio High Street to prepare for a big race. Please like the Mizuno Run Club Facebook Page to keep informed about future group runs and other fun activities! Go Fast at Challenge Camsur! Yes! It’s a monthly thing.